The refugee crisis currently affecting Europe has elicited comparisons to the refugee crisis resulting from the Second World War. This comparison, while worthwhile insofar as it has helped mobilise sections of the European community to assist the refugees, misses a key point: the Middle East and African regions are confronting the refugees crisis to a far greater extent than Europe. Europe is seeing merely a fallout of the crisis that is catastrophically affecting Lebanon, Turkey and certain other Middle East nations. Refugees making their way to Europe represent barely 0.068 per cent of the total European population, while over 25 per cent of the residents of Lebanon are refugees. Refugees seeking rehabilitation in Europe are from many countries, with the largest group being from Syria. 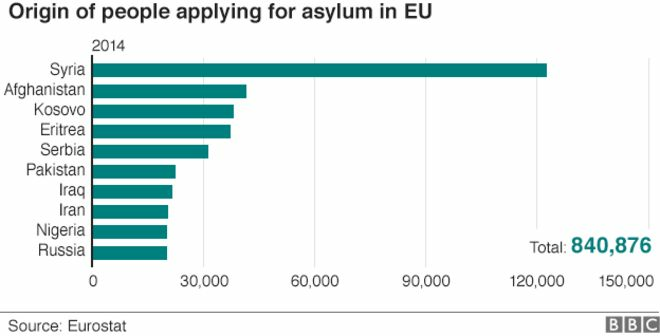 As Eurostat illustrates, the number of people seeking asylum in Europe from Syria numbered 130 000 in 2014, far more than the next largest group – from Afghanistan – numbering 40 000. The ‘refugee crisis’ is, then, primarily the result of four years of protracted war in Syria. Unfortunately, the focus only on refugees distracts from the larger need to urgently resolve the Syrian crisis, and there is no concrete effort in this regard. Thus, even though some sections of European society have redeemed themselves with great humanitarian gestures and the acceptance of refugees – Germany’s Angela Merkel and Catholic leader Pope Francis stand out amongst these, the ongoing refugee crisis is a deeper indictment of the global political elite, whether in the UN Security Council or in capital such as Damascus, Tehran, Istanbul and Riyadh, from where the war and violence in Syria has been fuelled without an end since 2011. This indictment is at two levels. First, it relates to their inability to limit the spread of violence within the Middle East and Africa. 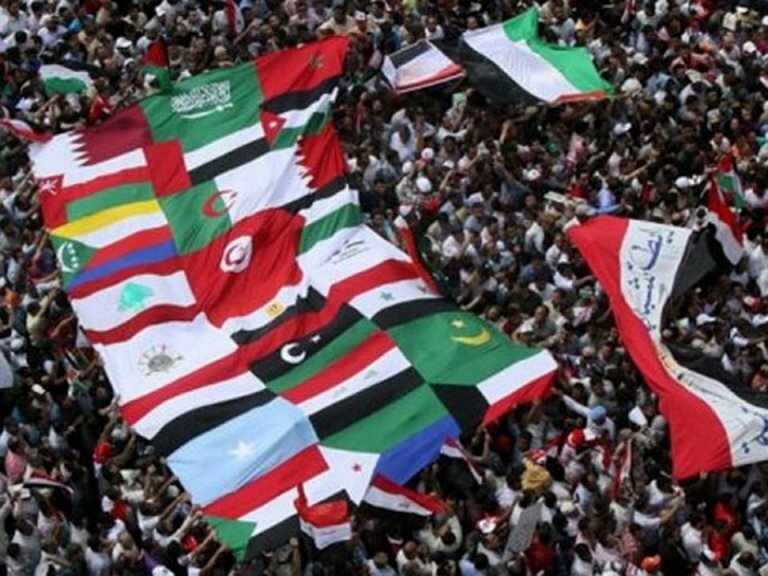 And if the chaos of Syria, Iraq, Libya, Eritrea, Central African Republic, Nigeria, South Sudan and Somalia was not enough, the misery of the Yemeni people from March also lies at their doors. Second, it points to the shambolic handling of the refugee crisis resulting from the wars the region has experienced in the past few years. A bigger picture of the refugee crisis is necessary, as illustrated by the following facts. 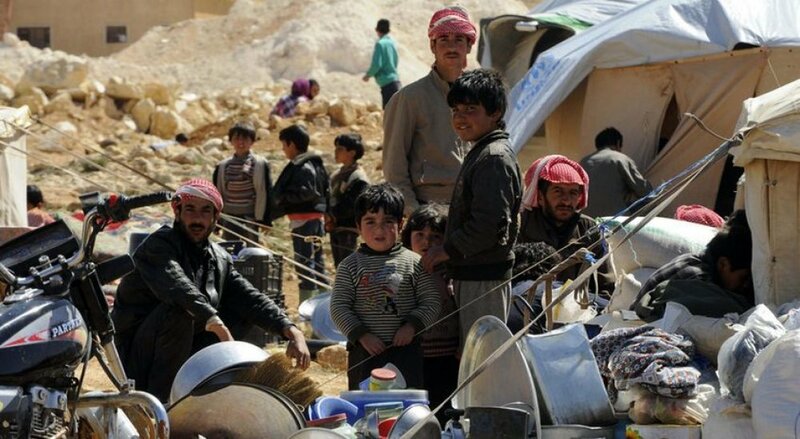 For 2015, the UNHCR has appealed for more than $4.5 billion just to address the needs of Syrian refugees in Turkey, Lebanon, Jordan, Iraq, Egypt and the rest of North Africa. This does not include the six million Syrians internally displaced in their home country, and who the UN cannot access. However, only thirty-seven per cent of these funds have been made available to the UN agency. 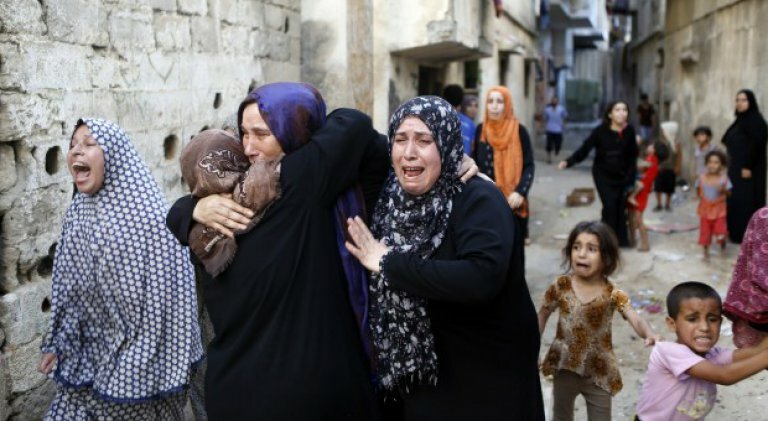 Further, even with the global outpouring of grief for the refugees who died in the Mediterranean, especially after the widespread publication of pictures showing drowned babies like Aylan and Galip Shenu, UK prime minister David Cameron could promise to accept only 20 000 Syrian refugees over the next five years, in a radical departure from the greater goodwill exhibited by Germany. Also, Gulf Arab countries, without whose financial and logistical support the Syrian war could not have been sustained for almost five years, have refused to resettle refugees in their countries, citing concerns about demographic disproportionality and their financial assistance for refugee camps in Lebanon, Jordan and Turkey. Such data show the effective apathy of the global political elite to the suffering of these dispossessed refugees. This is compounded by another factor: the tendency of the global media and audience to take notice of an issue only when it affects white Europe or North America. While the refugees struggling to make their way into Europe are part of the media splurge witnessed from USA to Australia, and including South Africa, there is still insufficient attention being paid to refugees who are struggling to find inhabitable spaces within the Middle East and Africa. Especially noteworthy in this regard is the movement of Yemeni refugees to the Horn of Africa. The bombing of Yemen has already created 1.5 million refugees in less than six months, but is getting barely a mention in the global fixation on the ‘European refugee crisis’. The International Organization for Migration estimates that almost 60 000 refugees have arrived in Djibouti, Somalia, Sudan and Ethiopia from Yemen since March. It is a fair question to ask why these refugees do not get as much attention as the ones who have drowned in the Mediterranean or have been held back in Hungary. This oversight highlights the Eurocentrism that still plagues the humanitarian concern that is driving the discussion over the ‘European refugee crisis’. Indeed, this very label should be changed, and, since it is a result of the Syrian civil war, it should be called the the ‘Syrian crisis’ instead. Further, the discussion should be broadened to include refugee crises affecting other parts of the world; if the world’s concern is the well-being of refugees, then it must be understood that there are other places that also need drastic humanitarian assistance. Above all, this refugee crisis should not become a reason to detract from the political failings of the global political elite, which can and should do more to stop wars, rather than simply bandaging some wounds created as a result of their actions. 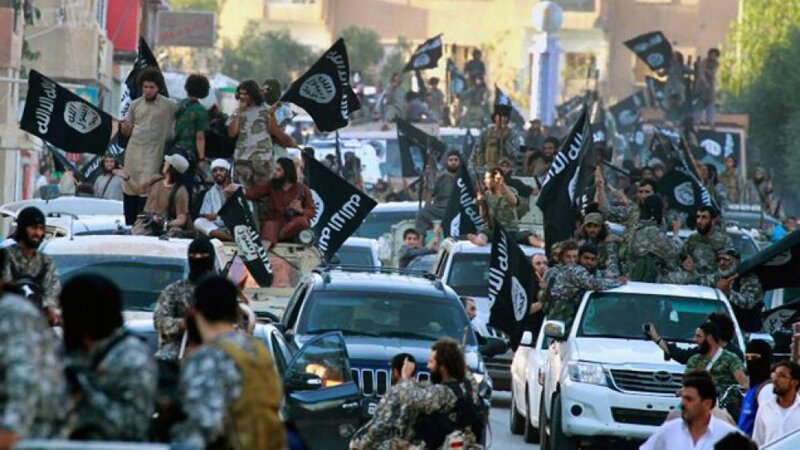 Since its declaration of a ‘caliphate’ on 29 June 2014, the Islamic State group (IS), the brutal successor to al-Qa'ida, has gone from strength to strength. Short of an indiscriminate air bombing campaign whose victims will include civilians and militants, a wide and well coordinated rebellion within IS ranks and/or the civilian population under its control, or a massive troop deployment and ground invasion by the United States or a regional hegemon such as Turkey or Iran, IS is here to stay for the foreseeable future. It has become common among some commentators to describe IS as losing ground and being on the defensive as a result of the US aerial bombardment in Syria and Iraq. While the control of territory in some places is often fluid, this assertion is not true. Such habitual arguments may stem from a tendency within the Anglophone world to (re)circulate stock claims and media releases of the US government. Or, it might be attributed to the retaking of Tikrit from IS control in Iraq, or IS’s loss of Tal Abyad and Kobane in Syria. But such cherry-picking of facts must also consider that while IS loses territory, it also gains control over other areas, such as the crucial ancient city of Palmyra in Syria, and the provincial capital Ramadi in Iraq’s Anbar province. Further, even in the case of cities where it has lost ground after weeks of sustained US air support in favour of IS opponents, the group has not entirely given up on these cities, as proven by recent clashes in Kobane and Ayn Issa in Syria and fighting near the Iraqi city of Baiji. As for the latest offensive mounted against IS in the Anbar province, it is too early to predict how it might develop, though it must be noted that the recent record of the Iraqi army and its allies does not inspire much confidence. A better understanding acknowledges that while IS has not been able to add to its rapid advances from last year in Iraq, it now controls about half of Syria’s land mass. Though this does not mean it exercises control over a majority of the population – and includes that part of the Syrian population, such as some tribes on Syria’s eastern edge, that was only nominally connected to the central authority in Damascus, – it is incorrect to suggest that IS is on the defensive or losing territory in Syria. It should have been evident to any cursory follower of the region that IS would not, at least in the short term, be able to expand much beyond the Sunni regions it already controls in Iraq. To use this fact to suggest that IS is on the defensive represents a misunderstanding of a fundamental part of IS’s strategy which is, first, to capture, and, second, to hold and build the areas it captures. Thus, a prognosis on the organisation cannot be given by looking at the lack of growth in its territorial control. Rather, it is essential to analyse the success or failure of the second phase of IS strategy: its management of territory that it already controls, the activities of its affiliates outside Iraq and Syria, and the influx of foreign fighters into its ranks. On all these counts, despite occasional problems, IS is faring sufficiently well. First, consider the management of territory it already controls – probably the most complex of the three indicators. A plethora of pro-IS videos point to the group’s establishment of schools, construction of roads, provision of medical and welfare services, setting up of courts and resolution of disputes, along with the formation of police forces to maintain public order (which for IS ranges from the fair use of weights and measures to regulating the modesty of mannequins outside clothing stores). Similarly, ‘immigration (hijra) guides’ issued by IS to those planning on moving to and settling in IS lands mention how the Islamic State will provide adequate housing and salaries for all those who wish to migrate. For example, the South African citizen with the moniker Abu Hurayrah al-Afriqi, who migrated to IS territory last year, joked that internet services there were better than in South Africa. While it is tempting to dismiss these assertions as pro-IS propaganda, much of it has been verified by other sources. One problem that is frequently raised as confronting civilians under IS control is that of electricity. It is clear the delivery of electricity has been a problem in certain areas, creating resentment amongst locals. However, complainants often also mention IS efforts to provide generators. This is not to suggest that all is well in territories within IS control, or that there is no dissatisfaction among civilians under its control. After all, IS did kill over three hundred members of a single Iraqi tribe last November. Similarly, there are reports of some Syrian tribal leaders becoming dissatisfied with IS because they are no longer able to collect taxes. However, as long as IS maintains a stranglehold over the information coming out of its territories, and the civilian population under its control is unable to arm and organise itself, it will be very difficult to estimate the level of antagonism it is breeding within. IS’s service delivery is also ‘subsidised’ by the Iraqi and Syrian governments, which have continued paying salaries to state employees living under IS control, especially in Mosul and Raqqah. Presumably, the respective governments want to use the salaries as leverage over civil servants (especially if these areas are recaptured), and because they do not want to create further antagonism against themselves. This has been useful for IS, but could become a problem if the two governments decided to cease salary payments. To what extent the drying up of these monies could affect IS coffers is difficult to establish. What is clear, however, is that this situation allows IS some financial leeway in not having to pay some of those providing municipal and other services. A huge issue that is alienating many people is IS brutality and conservatism, even though some see it as necessary to maintain peace and order in a time of war. And there is the often-repeated criticism that IS discriminates against its local recruits in favour of foreigners by giving the latter higher salaries and more benefits. Despite these – often serious – problems, in order to survive, IS just needs to ensure is that the population living in its territories likes it better than the alternatives. And the alternatives, for many, are not appealing. In Iraqi areas controlled by IS, where many people are still stinging from their perceived betrayal at the hands of Baghdad after they had helped defeat IS’s predecessor, al-Qa'ida in Iraq, a common sentiment among the people is that while IS is bad it is the least of the evils besetting them. 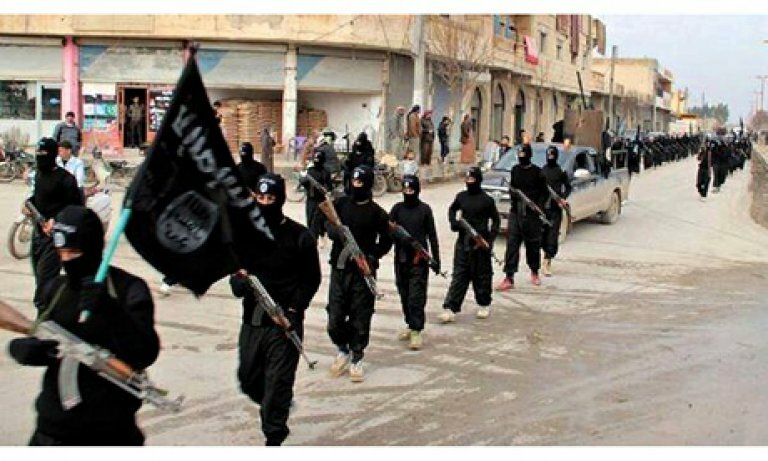 The second indicator of IS’s health is the activities of its affiliates outside Iraq and Syria. With the announcement of certain prominent organisations such as Boko Haram in Nigeria, sections of the Pakistani and Afghan Taliban, and the Caucasus Emirate in Russia pledging their allegiance to IS, the group’s international profile is on the rise. While some seasoned jihadi leaders – such as the recently deceased Nasir al-Wuhayshi of al-Qai'da in the Arabian Peninsula, and the Jordanian Abu Muhammad al-Maqdisi – have not accepted IS, and have condemned it for causing divisions among jihadis, even they do not simply dismiss the group. More crucially, with the recent high profile attacks in Afghanistan, Yemen, Kuwait, France, Egypt, Saudi Arabia and Tunisia being linked to IS sympathisers, IS does not seem like an actor that is restricted to the Syrian and Iraqi theatres. While it is unlikely that the IS central leadership in Iraq or Syria was directly involved in or gave its blessings to these specific operations, there is definitely an exchange of personnel and tactical information between IS's provincial groups – such as those in Chechnya, Libya and Egypt – and the centre in Iraq and Syria. This is another way of understanding IS’s claim of it ‘expanding’; its expansion cannot only be measured in terms of an increase in territorial control within Syria and Iraq, but must consider the spread of its tentacles in the rest of the world. Our third indicator is the inflow of foreign fighters into IS’s ranks. The group’s propaganda and battlefield exploits are succeeding in attracting an increasing number of sympathisers and the number has increased in the last few months. 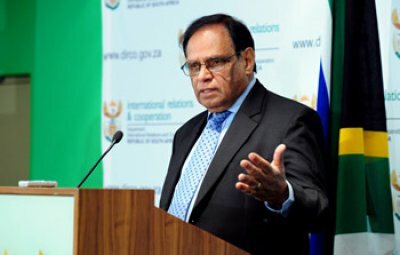 While most Muslim organisations and scholars have condemned IS and its brutal methods, it cannot be denied that there is a tiny minority that finds IS’s claim that it is building an Islamic utopia, or challenging the global order through its perverse sense of retribution, quite appealing. The total number of foreign fighters in Syria and Iraq has already surpassed the number of fighters attracted by the nearly decade-long 1980s conflict in Afghanistan. Though it is unclear what percentage of this has joined IS, it can be assumed that of the fighters going to Syria, an increasing percentage is linking with IS. IS then, contrary to some claims, is far from exhausted. Indeed, it would not be far-fetched to suggest that it will survive into the foreseeable future. Its slogan, ‘remaining and expanding’, is bearing fruit, even if that does not translate into taking over all of Syria or Iraq and the continuation of its lightning advances from 2014. IS strategists have an evolving understanding of what ‘remaining and expanding’ entails. At this stage, they do not see it as necessarily involving a quick stretch of sovereignty over all of Syria or Iraq. The measure of success is simpler: continued existence as a pseudo-state, providing services to the population under their control, and increasing sympathy throughout the world, whether through more immigrants, regional affiliates, or lone wolves willing to carry out attacks in its name. 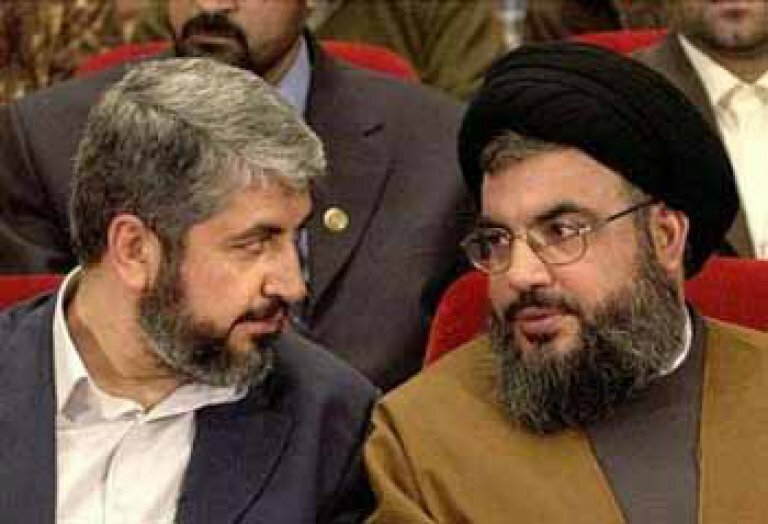 The severing of Hamas’s relationship with Syrian President Bashar al-Asad’s government, which saw its politburo relocate from Damascus to Doha and Cairo in early 2012, would inevitably impact the Palestinian movement’s relationship with long-time allies, Hizbullah and Iran. In fact, Hamas’s political repositioning on Syria reflects a reconfiguration of regional alliances that have been spurred by the uprisings that have swept across the region since December 2010. 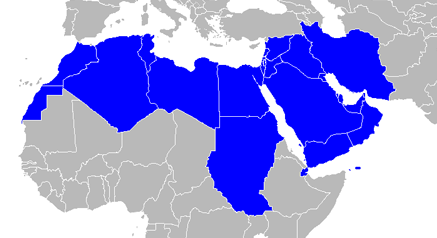 The political rise of the Muslim Brotherhood in Egypt and other countries, facilitated by the uprisings in the region, saw the Palestinian resistance movement gravitate away from the ‘axis of resistance’ (Iran, Hizbullah and Syria) towards a Brotherhood-oriented Egyptian-Qatari-Turkish axis. Aside from an ideological resonance, this new alliance would also potentially ameliorate its isolation brought on by the classification of it as a ‘terrorist’ organisation by Israel, the USA, Canada, the EU and Japan. Opening Remarks by International Relations and Cooperation Deputy Minister Ebrahim Ebrahim at the International Conference of the Afro-Middle East Centre (AMEC) on MENA: A transforming Region and its impact on the African Continent, Sheraton Hotel, Pretoria, 27 August 2012. I wish to thank you kindly for the invitation to address this distinguished audience who have gathered here to discuss what is most certainly a relevant topic. For the many visitors from far afield, I extend to you a warm South African welcome and hope that you will enjoy every moment of your stay in our friendly country. 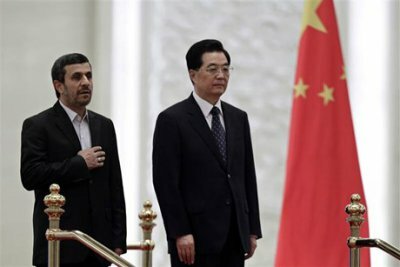 The use of China's veto over the Syrian crisis demonstrates that it no longer needs to sit on the fence on such international issues. In other words, there is no ambivalence on China’s part; it is decisive in its actions and no longer desires to either please everyone or to provoke anyone. China had previously maintained diplomatic relationships with smaller countries in order to gain support against Taiwan at the United Nations, or more generally to defend China against criticism of its human rights record. China is now recognised as an emerging international power especially after it asserted itself as a major economic force. Its strategic interests have changed and with that its relations with other major powers. These developments have effected a change in its policies and diplomatic conduct. United States strategic planners are carrying out a fundamental reconfiguration of America's military presence throughout the world. The shift came to light in November 2011, when President Barack Obama announced that some 2 500 US Marines would take up permanent positions at a training base on the northern tip of Australia. 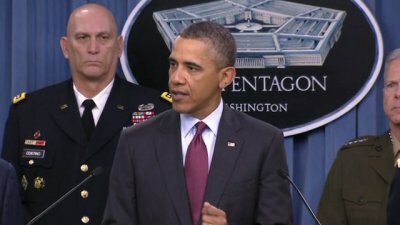 It was underscored in January 2012 when the president appeared at the Pentagon for the release of an extraordinary guidance document with the striking title 'Sustaining United States Global Leadership: Priorities for the Twenty-First Century Defined'. The revised strategic posture earmarks more US military resources to East Asia in general and the South China Sea littoral in particular.